Domestic/Sexual Violence Archives - ResourcesUnite! People available to speak about many aspects of human trafficking, access to volunteers trained in immediate victim’s assistance, and network with other agencies for formal counseling and sheltering needs. Soon to be proving access to trauma-sensitive yoga sessions. Family Advocates is a nonprofit organization providing services for victims of sexual assault and family/partner abuse. Family Advocates serves residents of Grant, Iowa and Lafayette Counties through offices in each county. Direct: Volunteers who ARE working directly with clients. Direct volunteers in the following areas must complete a maximum 4 hour training course. The training covers areas such as crisis intervention, domestic violence, sexual assault, and child abuse. Qualifications: an interest in issues of violence, community activism, and human rights; able to advocate for women, children, and families; crisis intervention, flexibility, honesty, integrity, and confidentiality. Requirements: Must volunteer a minimum of 20 hours, excluding training & orientation. If a volunteering for college credit, must commit to the full semester. Indirect: Volunteers who ARE NOT working directly with clients. Indirect volunteers work in the following areas after they have received a brief orientation of Family Advocates, Inc. as well as information on domestic violence, sexual assault, and child abuse. Qualifications: Positive work ethic, organization skills, basic cleaning skills, flexibility, honesty, integrity, and confidentiality. These are some of the areas in which Family Advocates, Inc. utilizes volunteers. If you would like more information please call 608-348-5995 extension 0. Dedicated to aiding individuals experiencing crisis due to homelessness, poverty or Domestic Violence, Waypoint (formerly YWCA) has served as a vital community resource since 1894. 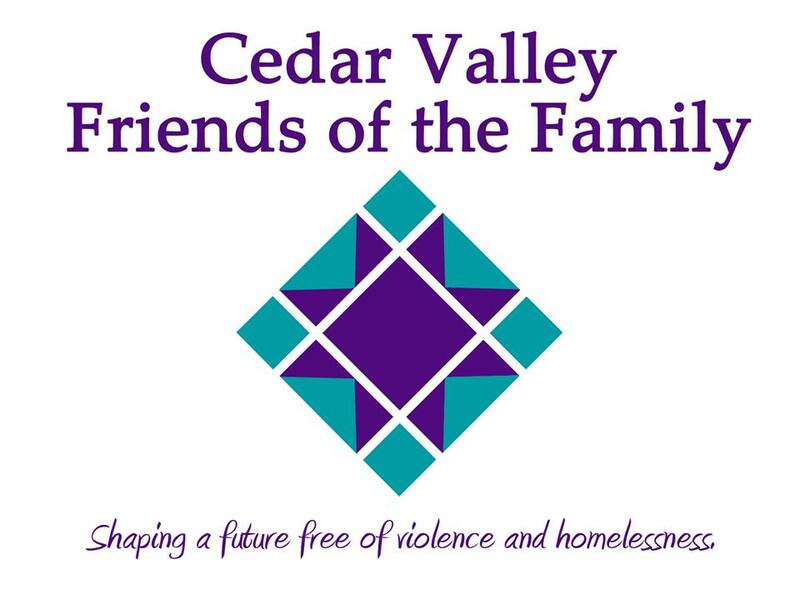 Over the years, we’ve honored our tradition of improving lives through our stabilizing resources and services, including support that empowers domestic violence victims, shelter for homeless women and children, and proactive solutions for those in poverty. Accompanying our critical services is our cost-effective child care, designed to give children the skills they need to thrive. Domestic Violence Victim Services Volunteer: Waypoint Services, the Comprehensive Domestic Violence Victim Service provider serving Benton, Black Hawk, Buchanan, Delaware, Dubuque, Jones and Linn Counties is looking for volunteers to assist individuals experiencing controlling, abusive partners. Ideal candidates are non-judgmental, compassionate, encouraging, and empowering. Free training is provided. Daytime Resource Program: Organizing donated personal hygiene items and assembling personal hygiene kits for individuals who are living in poverty and come to Waypoint for these needs. The need for volunteers is based on the amount of donations Waypoint receives. May Baskets for the Homeless: Waypoint encourages groups, families and individuals to come together for a cause each Spring. Help an individual or family in need by gathering personal hygiene & feminine items, or monetary donations. These items will help women & children temporarily living in the shelter, and families living in severe poverty. Donations are accepted at Waypoint Services, 318 5th Street SE, Monday-Friday, 8am-5pm. Madge Phillips Center Shelter volunteer assistant: Seeking volunteers to support emergency shelter staff during overnight hours (11 p.m. - 7 a.m.). Crisis Intervention Service is unique in that we are the only agency in the Dubuque area that provides services to the community specific to survivors of homicide victims. Our advocate works with the family and friends of the victim providing them with support in a number of areas. A few of these services include counseling, legal support through the criminal justice system, accompaniment to meetings and court proceedings, information and referral, community education, and community support groups. Food-Crisis Intervention Service is in need of individuals or organizations who would be willing to provide prepared meals or food donations for the victims families as they attend legal court proceedings. The prepared food can either be picked up directly from you by the families advocate or can be dropped off at the court house the day of the trial. Celebrate Recovery is for everyone! Whether your problem is emotional, financial, relational, spiritual, sexual or whatever, God wants to help you… Persistent temptations must be team-tackled through community. We need each other. Trying to fix your problems on your own only makes them worse than they were before. But there’s hope…In Celebrate Recovery, you will experience freedom from your sinful hurts, hang-ups and habits as you give up control and allow Jesus to be Lord in every area of your life. Join us on Monday evenings at 6:30 pm at Hope Church, Dubuque. We’re excited to be on this recovery journey together with you. The Iowa CASA program recognizes the importance of advocating for the best interests of abused and neglected children in the court system. The Iowa CASA program solely provides trained and qualified community individuals to advocate for the best interests of children who come before the court as a direct result of abuse or neglect as defined by the state child welfare laws. All Iowa CASAs must submit an application, provide three personal references, complete a personal interview with CASA staff, pass background checks, complete thirty (30) hours of pre-service training and take an Oath of Confidentiality with a Judge before being appointed to a case. Court Appointed Special Advocates Upon completion of pre-service application and training requirements, CASAs are assigned to a case. CASAs meet with the child in person at least once every 30 days and gather information from professionals about the child and case in order to make informed recommendations to the Juvenile Court regarding the best interest of the child. Additional duties include: attending meetings, reading case file information, writing reports for court, and attending court hearings. CASAs average 8-10 hours per month working on a case. CASAs also obtain 12 hours of in-service training each year. Project Concern educates and empowers those in need by providing personalized information and lasting solutions. The 211 call center provides individualized referrals and serves as the community’s Homeless Hotline. 211 is free, confidential and available 24/7. Project Concern’s Homeless Coordinator provides case management to clients who need immediate shelter and who are working towards independent living. The Shelter Plus Care program provides supportive services and permanent housing for those who are homeless with disabilities. The Foster Grandparent Program engages low-income seniors in the community in volunteering at local schools, reading with children. Project Concern strives to connect people to services, promote self sufficiency, provide information and advocacy, and encourage involvement. 211 Operator - Volunteers complete a training in order to be able to answer 211 calls anytime Mon-Fri (8-4) and provide information and referrals directly to those in need. A committment of 2 hours per week is requested with this volunteer opportunity. Foster Grandparents - If you are 55 or older and enjoy working with children, please contact Project Concern to apply for the Foster Grandparent Program. Volunteers receive a stipend of $2.65 an hour for their service. Special Projects - Please share your interests and skills with us in order for us to identify a project for you to assist us with. Fundraising Committee - if you would like to help with the planning or implementation of an agency fundraiser, please contact us.